Greenwashing is when people or a company pretend to worry about the environment in order to appear politically correct or to separate you from your money. This is very prevalent in the funeral service industry so we decided to start a discussion about it to help you decide between fact and deception. We are committed to providing you with accurate information so you can make informed decisions, particularly about the difficult decisions dealing with end-of-life matters. It is no secret that wherever you turn, whenever you look at your cell phone, or when you go on the Internet, someone is trying to sell you something. You also know that there is an abundance of bad information out there. Asymmetry of information is a big problem for consumers of goods and services; the person selling you the service usually knows more about it than you do. The only way to combat it is to do your homework and make well-informed decisions. The terms Environmentally friendly or environment-friendly, (also referred to as eco-friendly, nature-friendly, and green) are sustainability and marketing terms referring to goods and services, laws, guidelines and policies that claim reduced, minimal, or no harm upon ecosystems or the environment. We use the word “Truth” in the title of this page to get your attention because most people think they know the truth when they see, hear, think, or start to believe it, and most people want to know the truth if that is possible. If the word Truth got your attention, then we owe it to you to provide enough accurate information to make the term GREEN meaningful as it relates to cremation, burial, and alternative forms of disposition. Disposition is the word used in the laws that govern what happens to people after they die. In Washington, RCW 68.50.160, controls who has the right to decide. Burial and cremation are the traditional forms of disposition. There are also a few alternative forms of disposition that we will discuss. Did you know that if you are the person who has the right of disposition of a deceased person as described in RCW 68.50.160 you don’t even have to call a funeral director or pay anyone to help you with the disposition unless you want to for your own peace and comfort? Do-it-yourself funerals and disposition are real options. Realistically however, funeral service establishments can perform those services for you more economically if you know the right questions to ask. There have long been people who were concerned about environmental and sustainability issues. John Muir and Garret Hardin come to mind. Unfortunately the environmental movement has now become an industry full of bad information and people who use deception for their own personal gain. Here is not the place to have a lengthy discussion about carbon credit scams, but if you are interested, Atlantic Magazine published a good article on the subject in 2013. Investor’s Investment Daily also has a good article. Small companies that donate to charitable or environmental organizations do so either because they know the organization and support its objectives, or they donate so they can feel good and pretend that they are mitigating some environmental impact of their activities. Our question here as it relates to the funeral services industry is this: If we claim to offset the environmental impact of cremation or burial by buying carbon credits or planting trees, do you have any rational basis to believe us? And the second question is this: Does it really make any difference? First it is necessary to understand how big the problem is. A carbon footprint is the estimated amount of energy a person or nation expends using carbon based fuels. (As opposed to nuclear energy, wind energy, hydroelectric energy, etc.) It is generally expressed as metric tons of carbon dioxide (CO2), most of which is emitted into the atmosphere unless special precautions are taken, such as scrubbers on incinerators. HERE is a list of various countries’ shares of carbon dioxide emissions in 2015. The per capita emissions of China’s 9040.74 million metric tons (MMT) and the U.S.’s 4997.50 MMT are calculated on China’s 2015 population, 1.371 billion, and the U.S population, 321 million: per capita emissions in China are 6.6 MT; in the U.S they are 15.6 MT. Other sources report about 20 MT of CO2 emissions per capita in the U.S. These numbers represent an average amount of energy used per person in carrying out their daily lives over a one year period. Obviously there is a wide range in energy consumption between individuals. When we come to the end of our lives, we will all use one last small amount of energy before fading into eternity. What about the Amount of Energy Required for Cremation? Occasionally we are asked if cremation contributes to greenhouse gasses and if there is anything a person can do to offset the greenhouse emissions from being cremated. The environmental impact of cremation is minuscule compared to automobiles and the profligate use of energy by people living in the developed nations. Let’s explore cremation down to the molecular level of the human body. The following discussion may be a bit tedious for some people who say, “Just spare me the details. What’s the bottom line? Cremation is as GREEN as putting 29 gallons of gasoline into your car. A Lexus gets 22 mpg in the city; a Prius may get up to 58 mpg; a Ford F150 claims 20 mpg in the city; A Hummer gets 10 mpg, but some Hummer owners brag about getting 12 mpg. So cremation is as GREEN as taking your Ford F150 from Seattle to Oakland, CA assuming you don’t get caught in traffic. Keep reading for the tedious details. Multiply your weight by 0.18 to get the approximate amount of carbon that will combine with oxygen from the atmosphere to produce the weight of carbon dioxide that will be released into the atmosphere if you are cremated. Then multiple the weight of carbon by 3.7 to calculate the weigh of carbon dioxide (CO2). For a 150 lb. (68 kg.) person, approximately 100 pounds of CO2 will be produced. A very small amount of carbon is locked up in the bones as calcium carbonate and is returned with the remains, which are mostly calcium phosphate. During the cremation process, the water in the body is heated using a fuel source, usually natural gas in the U.S. because it is plentiful and inexpensive. Once the water is evaporated from the body, it doesn’t require any additional energy to burn naturally, consuming oxygen in the process and yielding carbon dioxide into the atmosphere. Remember, approximately 100 pounds of CO2 comes from a 150 pound person during cremation. How much Carbon Dioxide is Produced during the entire Cremation Process? Here is the short answer: 568 pounds on the high side, to 284 pounds on the low side, depending on a myriad of factors as follow, all depending on the amount of natural gas consumed. Keep reading if you are curious. The adult human body is 50-65% water, averaging around 57-60%. Often people are slightly dehydrated when they die, and at death additional water is lost through evaporation. Assuming 60%, a 150 pound person contains about 90 pounds of water that is evaporated during the cremation process. 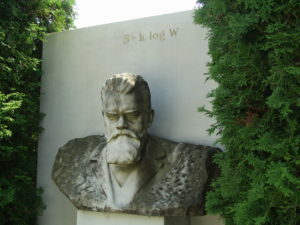 The actual amount of energy required depends on the atmospheric pressure and temperature at the place the crematory is located. Because we are dealing with approximations, we assume average temperatures and pressure at a typical crematory. In addition to the body, cremation containers of wood or cardboard are incinerated with the body and add slightly to the total CO2 burden. Natural gas is measured in therms or British thermal units (Btu) in the U.S.. A therm is a measurement of the amount of heat energy in natural gas equal to 100,000 Btus. A Btu is the quantity of heat required to raise the temperature of one pound of water one degree Fahrenheit. Raising the temperature of 90 pounds of water from 40 degrees F (out of refrigeration) to 212 degrees F (boiling) requires only 15,480 Btu (172 degree F rise x 90 pounds), but an additional amount of energy called the “latent heat of evaporation” is needed to boil of the water. The latent heat is 970.4 Btu/lb. so it requires 87,336 Btu to vaporize the 90 pounds of water. 87,336 Btu plus 15,480 Btu equals 102,816 Btu just to evaporate the water of the 150 lb. body. After the water is gone, everything else burns on its own. One million British thermal units (MMBtu) of natural gas produces 117.1 pounds of carbon dioxide when completely burned. The 102,816 Btu of natural gas required to evaporate the 90 lbs. of water from the 150 pound body produces only 12.04 pounds of CO2! 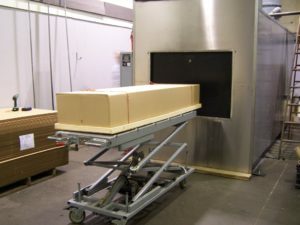 A cremation retort has certain operational inefficiencies so it uses more energy than simply evaporating the water from the body and start incinerating clothing, cardboard, or wood along with the body. Some cremation retorts are more efficient than others. In addition to natural gas, they use electrical energy for blowers and an inconsequential amount for computer controls. Our crematory uses highly efficient cremation retorts. In spite of their efficiency, the retorts use between 20 to 40 therms of natural gas on average per person depending on how they are scheduled. An small person can often be cremated with no additional natural gas because the retort remains extremely hot at the end of a cycle. Calculating on the high side from actual experience, 40 therms = 4 million Btus (4 MMBtu), times 117.1 pounds of CO2 per million Btu = 468.4 pounds of CO2 from natural gas. Add that to the 100 pounds of CO2 from the body and you have an upper range of 568 pounds of CO2 released in the air. On the low side, that drops to 284 pounds of CO2. These amounts, 284 lbs.- to 568 lbs, have little relationship to the weight of persons being cremated; they are average high and low fuel consumption per case from experience. If a retort is taken out of commission for maintenance, it will expend more than the average amount of natural gas per case when it is heated up to come back on-line. When bodies are being scheduled efficiently, fuel consumption per case will be in the lower range. Crematories are mindful of the environmental impact as well as the cost of using unnecessary natural gas. As you can see, the energy to keep the machines hot far exceeds the energy required to cremate a person. Undoubtedly there are people reading this who have a foundation in thermodynamics, physics, or science in general. To you who cringe at the use of English units such as pounds and Btu, we offer an apology and submit this beautiful picture of Boltzman’s Tomb as a thank-you for indulging us. Is there a certifiable way to offset the carbon dioxide emissions from cremation? In a word, no. (Except for an insanely obvious way to do-it-yourself, but you have to read all the way to the bottom of this section to find out how). Science Daily reported in a 2008 MIT study that estimated the carbon footprint for the average American. The average annual carbon dioxide emissions per person, they found, was 20 metric tons, compared to a world average of four tons per person. Twenty metric tons is 44,092.5 pounds. Even homeless people in the U.S. don’t fall below 8.5 tons because of public services such a police protection and soup kitchens, services provided by others that directly add to their carbon footprint. The average life expectancy in the U.S. is about 79 years. If citizens average even 30,000 pounds of CO2 per year during their lifetimes, that amounts to 2.37 million pounds of emissions to commemorate their existence. At the high end, cremation accounts for 568 pounds of CO2 , so if that is the means of disposition chosen for a particular person, slightly more that two hundredths of 1% is added to their lifetime total. Remember that in addition to the net expenditure of 20-40 therms of natural gas to do a cremation, energy is used to support the entire funeral industry infrastructure, including heating and air conditioning, automobiles, and even the State regulatory agencies that oversee the industry along with their buildings and employees driving their cars to work – all for the sole purpose of making sure people are disposed of in a proper fashion at the end of their lives. There is no single person or funeral establishment that is capable of mitigating all of that. The problem is so large that without certifiable international governmental action, the entire question of carbon dioxide emissions and sustainability will stumble along until an overriding financial or environmental catastrophe forces a change. Some argue that big change starts with one small step, which may be true, but is is reasonable to ask in which direction should that small step be taken? One suggestion that would go a long way to establish the credibility of eco-projects, many of which are 501(c)(3) nonprofit corporations, is to require specialized audits of large carbon offset firms similar to the audits (PCAOB) that publicly traded companies file with the Securities and Exchange Commission. The audits would require a high degree of technical expertise to verify that carbon is really being sequestered. The audit would reveal the true cost of sequestration. This would at least go a long way to eliminate the rampant fraud. Some funeral establishments and crematoria tout buying offsetting carbon credits, mostly as a way to appear environmentally friendly. We do not impugn their motives; they may actually believe that donating money to some obscure environmental charity is making an impact. If they don’t actually believe it, they are being cynically manipulative. But all of this meaningless without a certifying authority or regulatory regime in place to audit the thousands of tax exempt Eco-schemes. The obvious solution to not being deceived by scamsters is to plant your own tree if you can trust yourself to consistently care for a tree in a tropical climate for 40 years, or to trust someone else to make sure the tree isn’t cut for firewood, which compounds the emissions problem. Tree planting sites claim that a tree can sequester 48 pounds of CO2 per year. That number pops up on so many Internet sites that one would be wise to question the number. It is obviously way more complicated than that so unless you want to make carbon sequestration your life’s work, study something less frustrating. Perspective – The cement industry is second only to power generation in the production of CO2. Producing one ton of Portland cement releases roughly one ton of CO2 to the atmosphere, and sometimes more. Forty percent of the CO2 produced from making cement is a result of the energy used refine the raw material into cement that is mixed with sand and gravel to make concrete. Part of that CO2 is reabsorbed into the concrete as it ages in the atmosphere. Go on a diet. A lifetime of overeating, especially red meat, adds many thousands of pounds of CO2 to the atmosphere. Overweight people also drive more miles in cars instead of walking. Even if you start later in life, eat less and drive less and you can totally mitigate the last few hundred pounds of CO2 you add to the atmosphere. In the sections that follow, we will discuss two alternatives to cremation as means of disposition of deceased human beings. Burial is the time honored tradition method of disposition. Hydromation® is our licensed implementation of a process called alkaline hydrolysis. Both can have a smaller carbon footprint than cremation depending on how they are carried out. Cremation is considered to be the low cost alternative to burial. That is true if dollar cost is the only consideration. After all, burial requires a place to be buried and that costs money. It is harder to put a cost on the environment. Opponents of burial claim that cemeteries use up precious land, presumably land that could be used to build condos to support a burgeoning population of young high-tech workers. Proponents of natural funerals say that land set aside for cemeteries adds to open space, helps wildlife, improves air quality, and offsets urban warming. It is true that cemeteries may not be the highest and best commercial use of land close to urban centers, but what about coverting marginal farm land to dual use as an open space and cemetery? So-called green alternatives such as a natural burial in a rural cemetery with no casket and vault require the body to be transported to more remote locations. The U.S. Energy Information Administration (eia) publishes an Internet page that documents the amount of CO2 produced by different energy sources. According to the eia, gasoline (E10) produces 18.9 pounds of CO2 per gallon. If a funeral vehicle gets 20 miles per gallon, it will use 10 gallons of gasoline to go 200 miles round trip. The CO2 generated by the vehicle is 189 pounds when it makes a 200 mile round trip to and from a cemetery. In northwestern Washington State, land close to the cities is very expensive. Cemeteries that offer natural burial are by necessity located far from the cities on land that may ordinarily be used for agriculture or forestry. One such cemetery is located 100 miles from Seattle in Ferndale, WA. 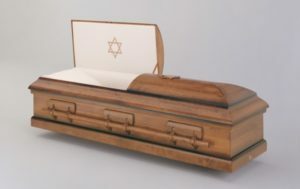 When an unembalmed body is placed in a coffin made of biodegradable material and placed directly in the ground, the natural process of decomposition takes place in the soil and no CO2 is released into the air. Even the 189 pounds of CO2 that transporting the deceased person 100 miles is not significantly different from transporting a body from the place of death to the crematory. Remember that the cremation process releases between approximately 200-600 lbs. 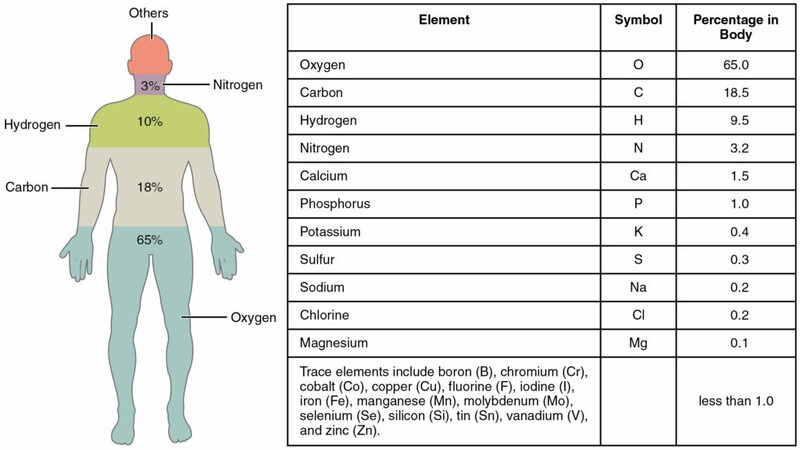 of CO2 depending on the size of the body and other operational factors. A traditional burial involves a casket, often made of steel, which is placed inside a vault in the ground. The vault is used to prevent the earth from settling. It is also an extra source of income for the cemetery or funeral home. Vaults weigh almost 3,000 pounds. About 15% of the concrete in the vault is from cement. That amount of cement resulted in about 450 pounds of CO2 being released into the atmosphere when it was manufactured. Some of that CO2 is reabsorbed when the concrete sets while out in the open and once it is underground it will continue to absorb CO2 from the water as it percolates through the soil. A steel casket weighs between 100 and 300 pounds. Manufacturing steel results in 4 pounds of CO2 per pound of steel. So burying 150 pounds of steel comes at the cost of releasing 6oo pounds of CO2 into the atmosphere. A bronze casket weights more and bronze releases 5.5 pounds of CO2 per pound of bronze. material used in its construction. But a wicker basket may be hiding a dirty secret. Where does it come from and where is the wicker grown? The carbon cost of harvesting the wicker, manufacturing the basket, and shipping it to the destination on the other side of the world adds substantially to it carbon footprint. A wooden casket made locally may be a better option. The real assault on the environment is the environmental impact of transportation. We have alluded to this when we discuss transportation going to the crematory or going to the cemetery. But what about the environmental cost of transporting a steel casket from the factory in Indiana to Seattle WA? This is done in the most economically efficient way possible by rail and then the caskets are warehoused and distributed locally just in time for the funeral. Railroads are 3 times more efficient than trucks to move freight. Many of the so-called green coffins are manufactured overseas. The absolte worst way to ship such an item would be by air freight which produces up to 5 times more emissions than trains. Hydromation® is our licensed name for alkaline hydrolysis as it applies to the disposition of human corpses. We are not currently offering it as a means of disposition because Washington State has not yet authorized it for use by funeral establishments. Ten years ago when we first started to look at alternatives to cremation, we studied the chemistry of alkaline hydrolysis, and visited locations where it was being used to dispose of animal carcasses at veterinary schools. At that time there was a lot of excitement being generated about it in the funeral industry. We patiently watched as a few states accepted it as a means of disposition. As the years passed, enthusiasm waned as it became obvious that limited consumer demand for the service was not encouraging state legislatures to legalize it. There may have been lobbying against it in some states. New Hampshire authorized its use in 2008 and turned around to reject it in 2013. It is now available in about a dozen states, with Oregon and Idaho being the closest to Washington. The process is basic organic chemistry. Live tissue is made of long carbon containing molecules held together by chemical bonds that can be broken by certain reagents. Hydrolysis is when water gets involved in breaking the bonds that hold things together. Hydrolysis can be accomplished using many reagents including acids, bases (alkaline) , and enzymes but using bases is the safest and highly efficient for use as a means of disposition. The reaction is carried out by putting a body in a solution of a strong base like potassium hydroxide. Depending on the time, temperature, and pressure, all of the tissue in the body is dissolved leaving just the bones and other substances that do not react, such as implants and tooth fillings. Using alkaline hydrolysis as a means of human disposition results in recovering slightly more bone than is recovered during cremation. We also object to calling it green cremation, bio-cremation, or a “gentle eco-friendly” alternative to cremation. The process is no more gentle, nor violent, than burning. We simply object to emotional and marketing hype. During cremation, everything except the bones goes off as gases, including a lot of water vapor and CO2 plus small amounts of carbon monoxide, nitrogen oxide, sulphur dioxide, hydrogen chloride gas, hydrogen fluoride, and mercury vapor – all very simple molecules. During alkaline hydrolysis, the content of the effluent depends on the conditions of the reaction. High temperature and pressure results in a more complete breakdown of the organic bonds, resulting in shorter organic molecules. Low temperature alkaline hydrolysis results in longer chain decomposition products. 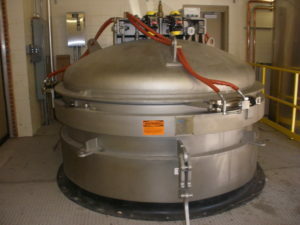 To carry out the reaction, the body is placed in a stainless steel perforated vessel, which is submerged in a larger vessel containing water and the alkaline reagent. After the reaction is complete, the effluent is an aqueous solution of simple salts, amino acids, peptides, sugars, fatty acids, glycerol, and soaps, among many other organic compounds. Alkaline hydrolysis uses much less energy than cremation. Depending on the process used, the energy to carry out the reaction can vary from almost zero in an atmospheric pressure machine to around 100 kWh (kilowatt-hour) of electrical energy for a high pressure vessel. One hundred kWh is approximately equivalent to 110 pounds of CO2 being emitted by the power generation equipment. This can vary considerably depending on how the electricity is generated. A coal powered plant will release 185 pounds of CO2, while a natural gas powered plant will release 84 pounds. Solar, wind, and hydroelectric power sources are substantially less. People who have amalgam fillings in their teeth will emit mercury during cremation. Some crematoria employ scrubbers that catch the mercury, but not all. Alkaline hydrolysis preserves the amalgam. It along with other metals can be accumulated until a sufficient amount is available to send to a metal recycling firm. Handling dental amalgam and other metals recovered during alkaline hydrolysis is not hazardous. What happens to the Effluent from Hydrolysis? The liquid left over from hydrolysis varies from thick and dark to almost clear amber color depending on the temperature and pressures used. It may be discharged directly into the sanitary sewer or it can be held in a holding tank to later be collected for use as fertilizer. As a practical matter, the effluent is not segregated and held for an individual person. As with cremation, where the gasses go off in the air to mix with the environment, the effluent from alkaline hydrolysis collected into large enough quantities to be economically discharged back into the environment. In Oregon, a sod farmer is adding it to the regular fertilizer regimen. In Washington State, when it becomes available, it would be ideal to spread in forests. The effluent is an excellent source of potassium, needed by all plants.